Gas-powered construction trash pumps are designed to pump out "dirty water" that would clog other pumps. And with the ability to handle water with up to 25 percent solids, as big as 1 1/2 inches in diameter, this 3-inch discharge trash pump is a great case in point. 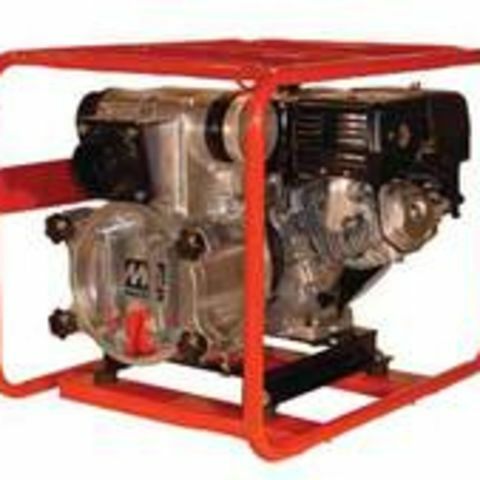 Rental centers commonly outfit this pump with intake and discharge hoses is included in the pump rental price.